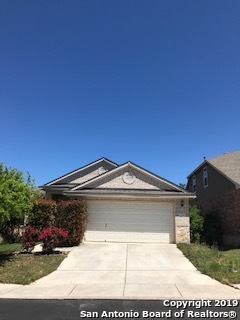 All THE VILLAGES OF TRINITY O homes currently listed for sale in San Antonio as of 04/22/2019 are shown below. You can change the search criteria at any time by pressing the 'Change Search' button below. "Absolutely Beautiful! Outstanding 3-2-2 in gated villages of Trinity Oaks. 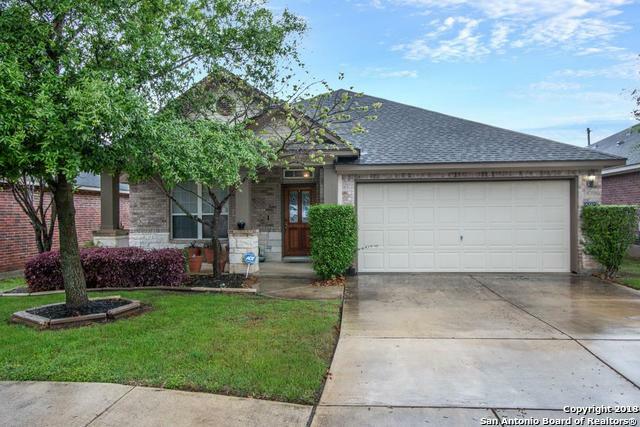 Open Flr plan w/ high ceilings, silestone countertop, gas stove, microwave, covered patio w/ gas hookups, ceiling fans, sprinkler system, refrigerator, FR, Faux plantation blinds and gorgeous wood floors! Real rock surrounds bottom of kitchen countertop bar. Will not be disappointed to show!! Priced to Sell!!" "Great 1 story open floor plan. Ceramic tile throughout, high ceilings. Kitchen has glass top stove, 42 cabinets and the huge island is the heart of the home. Includes H2O softener. Ideal for entertaining. Formal dining can be used as a flex space. Study/office. Private owner's suite w/bay window, full bath & walk in closet. Spacious laundry room. Relax in the Florida room (adds approximately 153 s.f. living space). Sprinkler system, green belt lot. Gated access, community pool & playground."